Services in a warm, family environment. 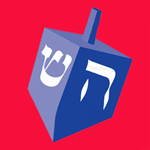 Open to all, regardless of educational background, commitment, or level of Jewish observance, Saturday-morning prayer is a rich and meaningful way to celebrate your Judaism. A running commentary during the prayers as well brief highlights of the Parsha during the Torah-reading, provides meaning, depth and a timely message. With selected prayers read in English and a beautiful bi-lingual prayer-book, beginners and experienced alike enjoy the welcoming and genuine prayer experience. Traditional melodies sprinkled throughout the prayers add to the warm and joyous atmosphere. After services, participants enjoy a kiddush lunch with salads, gefilte fish and more. A warm and " heimish" atmosphere makes this a great way to celebrate shabbat!